Today: Chiffonade sounds fancy, but that's only because it's French. In reality, it's a simple technique that works for any leafy herb. The term "chiffonade" -- which roughly translates to "made of rags" -- is one of those bits of cooking lingo, like confit or sous-vide, that intimidates by its very sound. But in terms of actual difficulty, chiffonade comes in at about a 1 out of 10. First, stack your leaves. 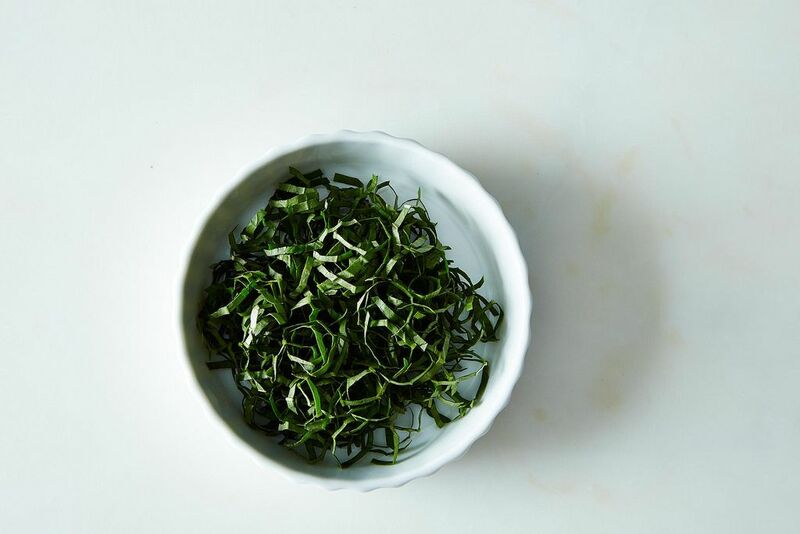 Start small: You'll want around 10 leaves at a time, according to Fine Cooking, though with a bit of practice you can make your stacks even bigger. We like to layer bigger leaves at the bottom and smaller ones on top. More: Don't stop your knife hacks here -- here's the easiest way to slice cherry tomatoes. Next, roll the stack lengthwise, as tightly as possible. It should look like a cigar. Now you're ready to slice across the cigar. 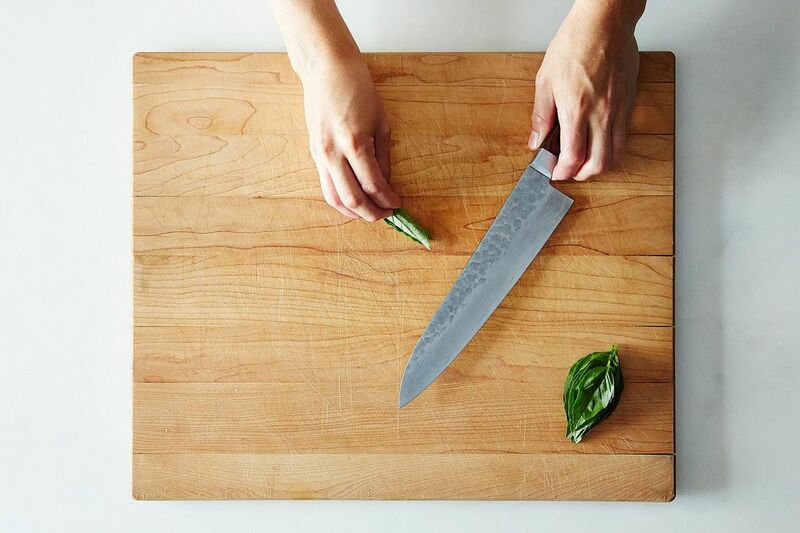 You'll need a very sharp blade: Our Test Kitchen Manager Allison says that the knife of choice in culinary school was a paring knife, which you'd pull towards you while cutting with just the tip of the blade, to get a very precise, super-thin chiffonade. 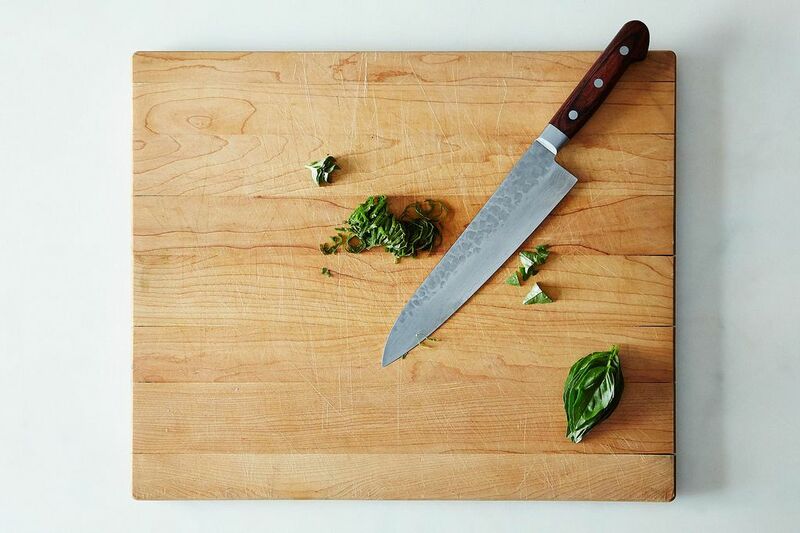 We usually use a bigger blade, like a chef's knife, and employ a more traditional slicing motion. Allison also keeps things tidy by removing the tips first, and discarding them (or using them for less-exact garnishes). 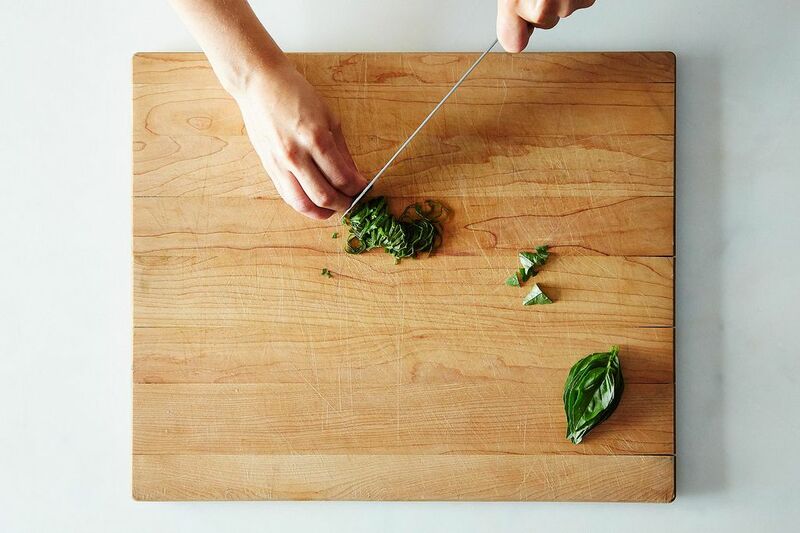 Either way, the closer the cuts, the thinner and more delicate your chiffonade will be. Continue slicing until you reach the stem. 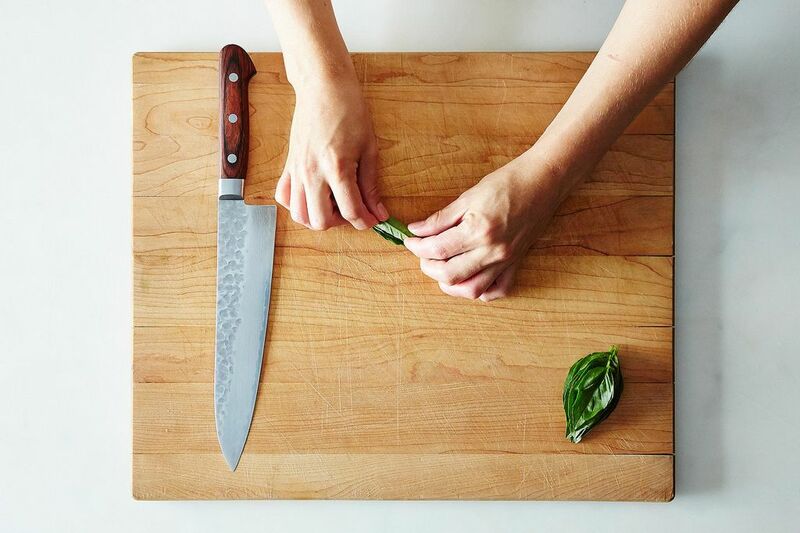 To avoid the "paper doll" effect -- where the strips stick together -- Allison recommends following through completely with your knife, with a slight forward motion once the entire blade makes contact with the board. More: Put that beautiful basil chiffonade to use with these recipe suggestions. If you're worried about browning, chiffonade your herbs just before you use them. And then voilà, you've got a lovely addition to salads, pastas, fish, or even fruit -- before you could even say sous-vide. 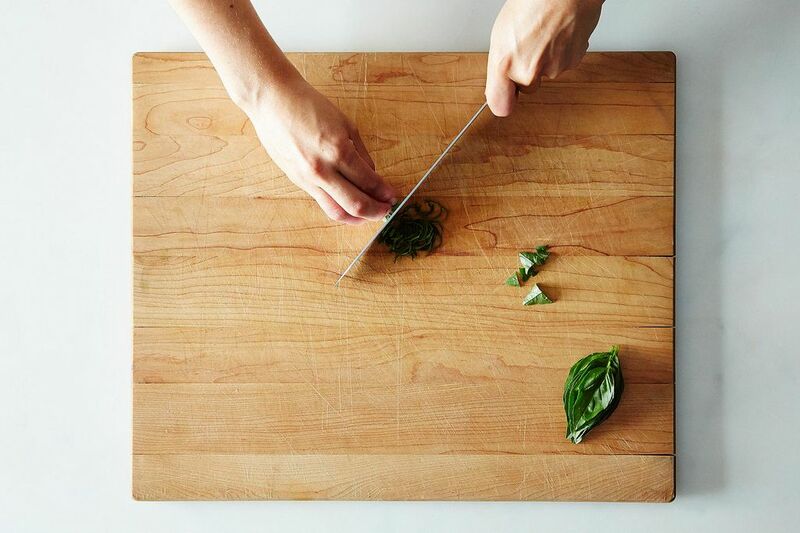 How do you use your chiffonaded herbs? Do you have any tips for achieving perfect ribbons? Tell us in the comments! I'm a former Food52 Julia Child Food Writing Fellow now studying law so I can make food fairer, more delicious, and more sustainable for everyone. I was born and raised in Montreal (mostly on poutine and matzoh ball soup), but in my heart I am an Italian grandma—I live on pizza and make a mean eggplant parmesan. I read somewhere that using scissors instead of a knife causes less browning. I haven't tested it, though! I have been using my scissors for basil and mint for a couple of years now and when my herbs end up sitting longer than I planned, I see no browning. Not sure why. They are very sharp, but so are my knives. 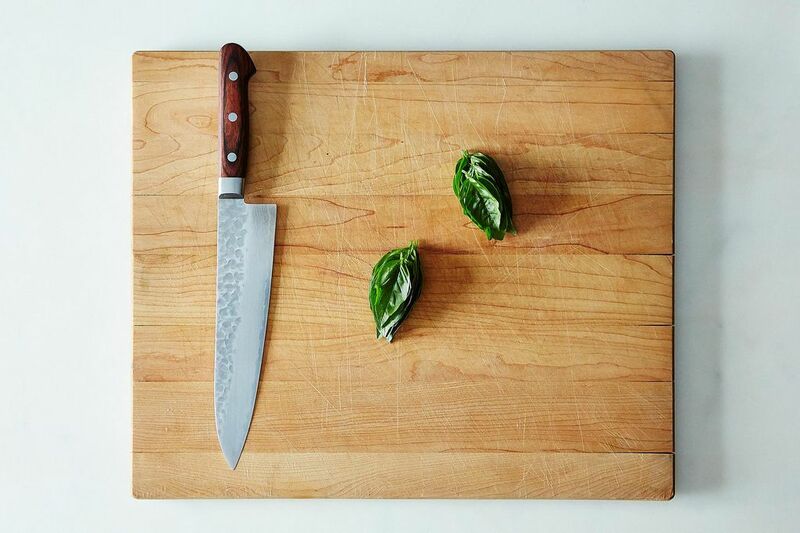 If you roll the basil the other direction (from stem to tip of leaf), you will have cleaner cuts and the edges won't brown as fast. Cool! I'll have to try that out.